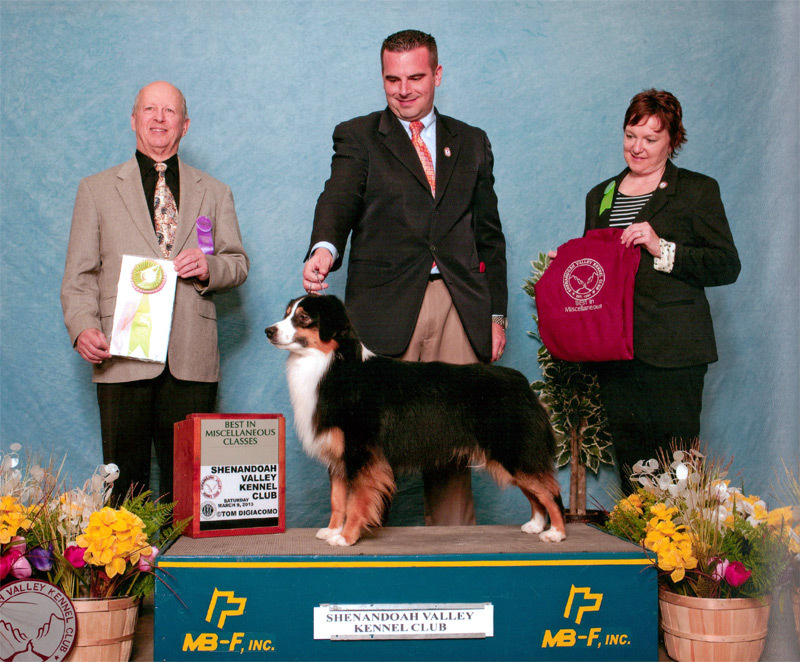 Dynasty Miniature American Shepherds had many great moments in 2013. It was a fantastic year! 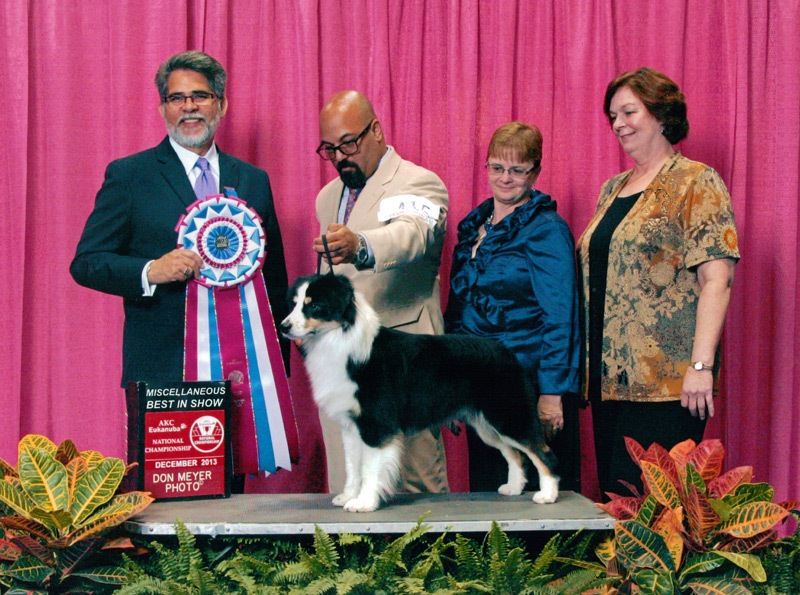 It was a honor to compete against such a quality group of dogs and our young man who isn't 18 months old amazed us. We are so very proud of Remi who is a cross of Dynasty's Instant Replay, CM2, CGC, TDI "Ref" and Dynasty's Kyra's Got a Wibblebutt, CGC, TDI. We are so very pleased with the comments from judges on his movement and structure. 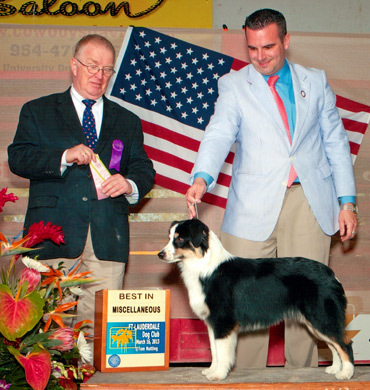 We are very thankful to Team Remi, which includes Emma Sunderman (his Jr. Handler), Arvind DeBraganca and David Stout (Handlers). Thank you to all of the competitors and for all the support we received from our club. 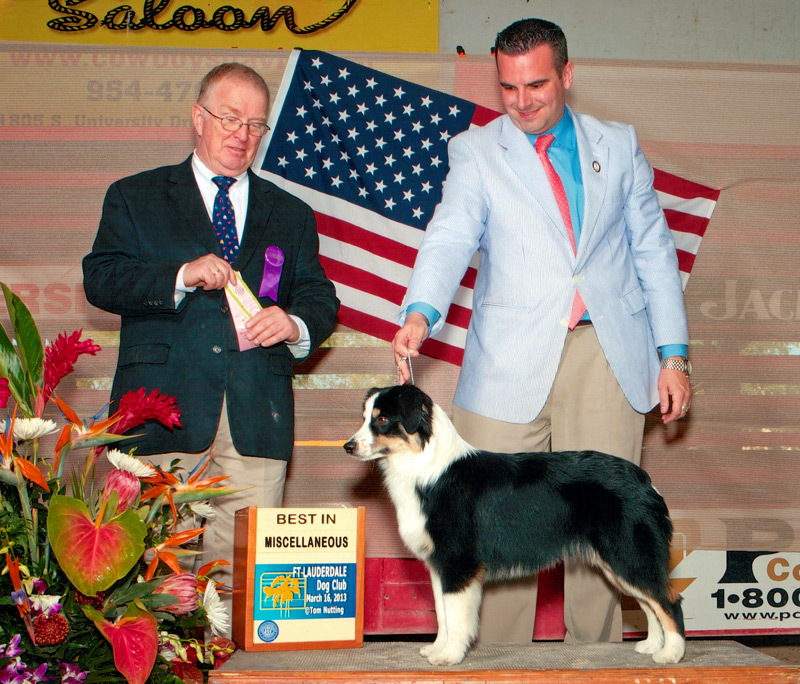 In November 2013 Kane completed his Pre Trial (PT) herding title in Hillard, FL. 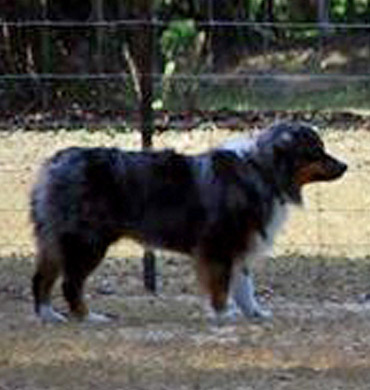 He continues to train towards his Herding Started (HS), which he will test for in February 2014. 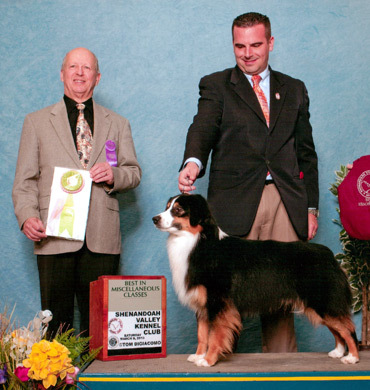 We are excited to have such a great competitor in herding with Kane. We are very proud of our Rosie and Ringo's son Seth who was a star in the production of Annie for a high school in Jacksonville. At a mere 8 months old, he showed great acting skills and was even mentioned in the reviews for his star power. We are very proud of his family and all the hard work and training they are putting into Seth and his sister Flow. 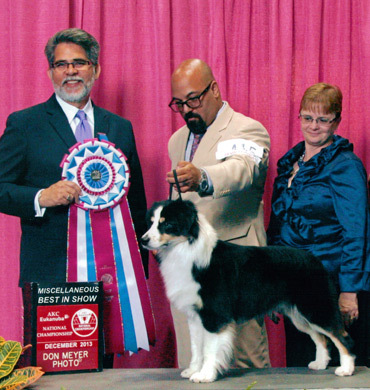 During 2013, Ref has won many Best of Breed awards and has taken 4 MISC BIS. 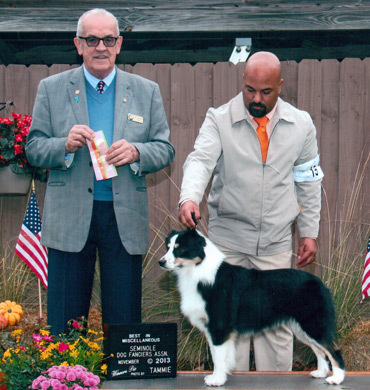 Ref has completed his MASCUSA Grand Championship with 40 AKC Points. 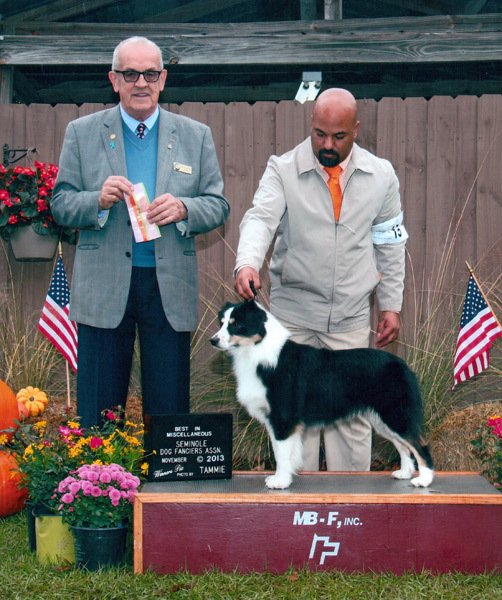 Remi now has Mulitple MISC BIS wins and has been awarded his Certificate of Merit.